There’s nothing quite like seeing the Hoosiers play in Simon Skjodt Assembly Hall, especially when you witness a game-winning shot at the buzzer like the one Christian Watford threw up against Kentucky back in 2011 or the Hoosiers defeat ranked North Carolina. 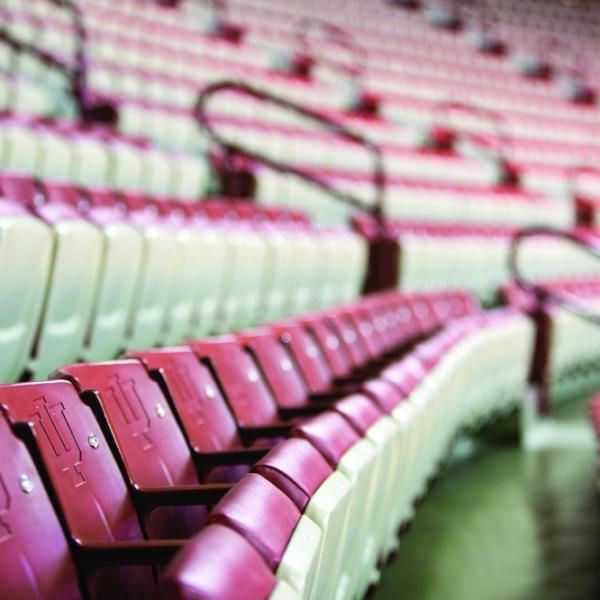 Those fans will never forget that moment, whether they were in Assembly Hall or watching the game at Nick’s English Hut. 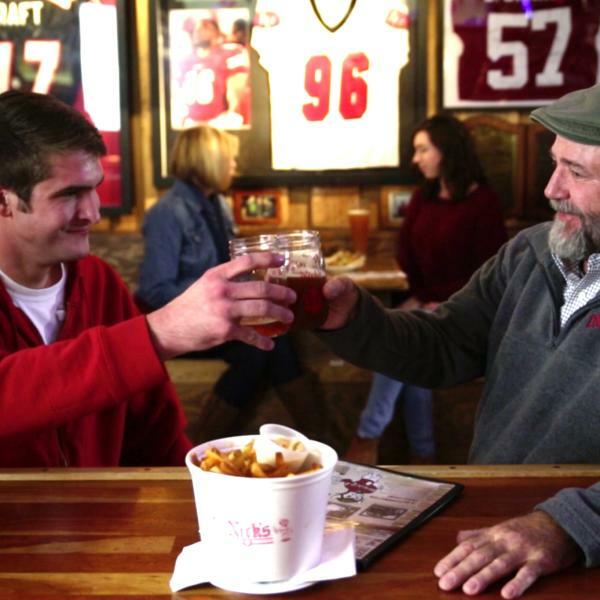 As we gear up for Hoosier basketball, we want to help you make the most of the season. First things first, you gotta get your candy stripes. 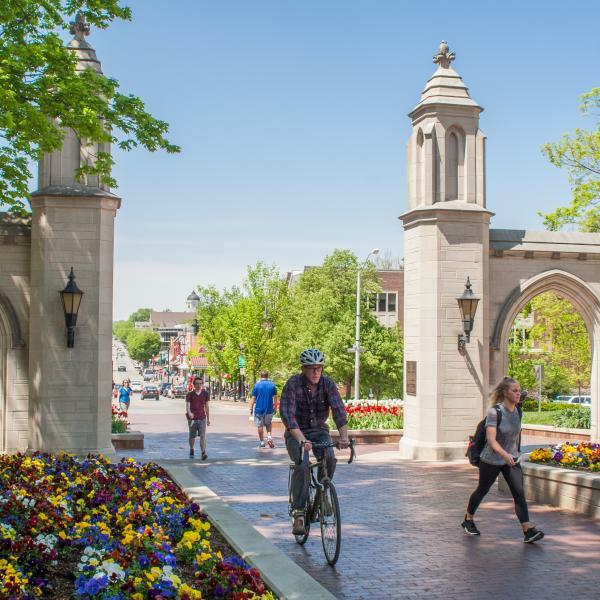 There are tons of IU gear shops around Bloomington so whether you need a t-shirt, hat, or hoodie, these shops will get you decked in cream and crimson for the big game. IU Bookstore inside the Indiana Memorial Union - Walk the halls of the Union to pick up your IU gear, learn some IU history, and feel like a student again. TIS College Bookstore - This is the place for all your Hoosier gear needs. 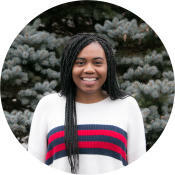 You can find anything from paper plates to winter coats and everything in between. Pro Tip: It isn&apos;t uncommon for them to give a discount code at basketball games and other popular weekends at IU. ​​​ Tracks - The perfect spot for IU apparel that you won&apos;t be able to find anywhere else. Fun fact: Tracks also has a large vinyl section filled with old and new music. 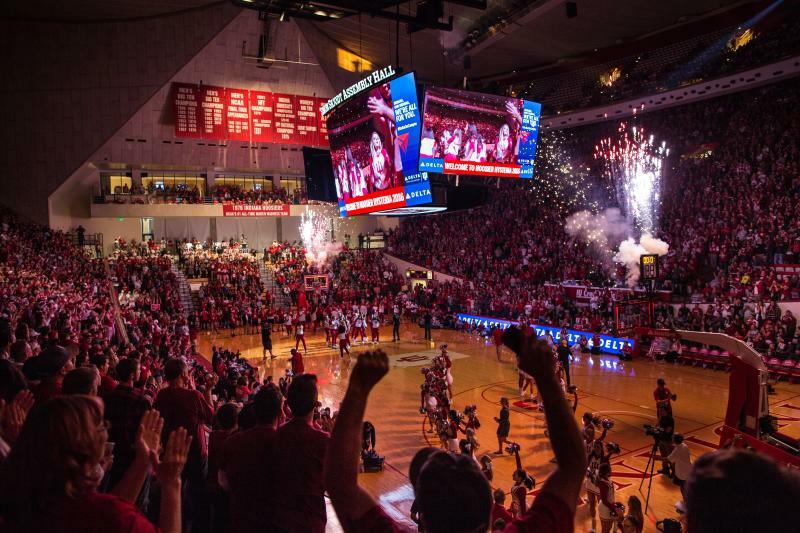 The recent renovation of Simon Skjodt Assembly Hall is a must see for any basketball fan. The south lobby had the most dramatic renovations, so don&apos;t miss the grand entrance, balcony, and huge INDIANA spelled out above you. The south lobby houses the Big Ten trophies plus digital screens with archival images of basketball and other sports. 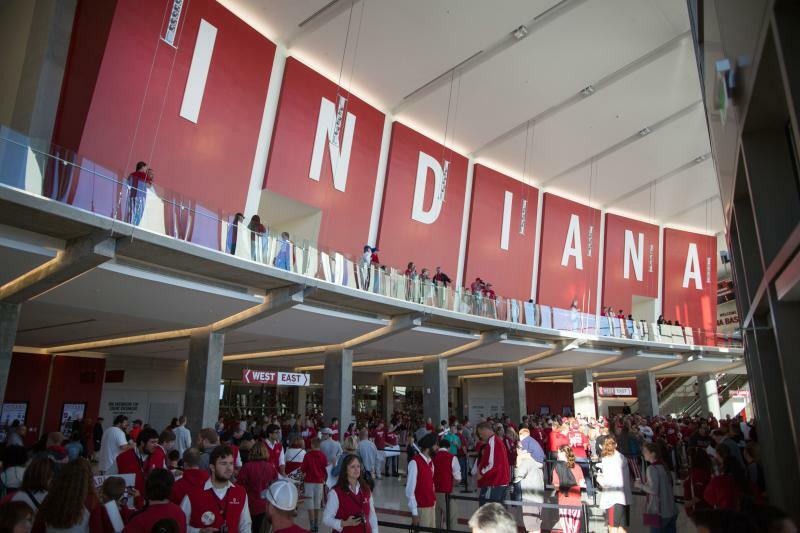 If you&apos;re looking for an in-depth tour of Hoosier basketball, request a guided tour. Tours are not available on game days, holidays, weekends or during special events. Memorial Stadium - Although you may be here for a basketball game, tours of the updated football stadium are available upon request. Cook Hall - The IU men&apos;s and women&apos;s basketball teams&apos; practice facility is also a museum that takes celebrates IU basketball history. Simon Skodjt Assembly Hall - You have the option to walk around the stadium on your own or take a guided tour (available upon request). 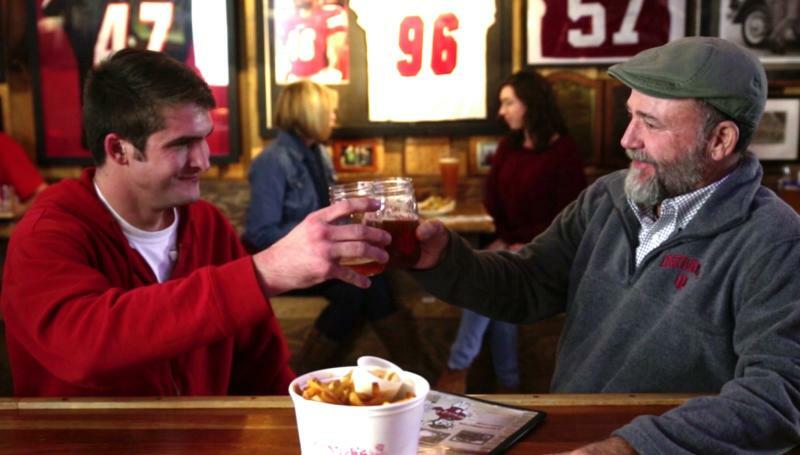 Tickets for Assembly Hall may be hard to come by but watching from these bars and restaurants is a guaranteed good time. 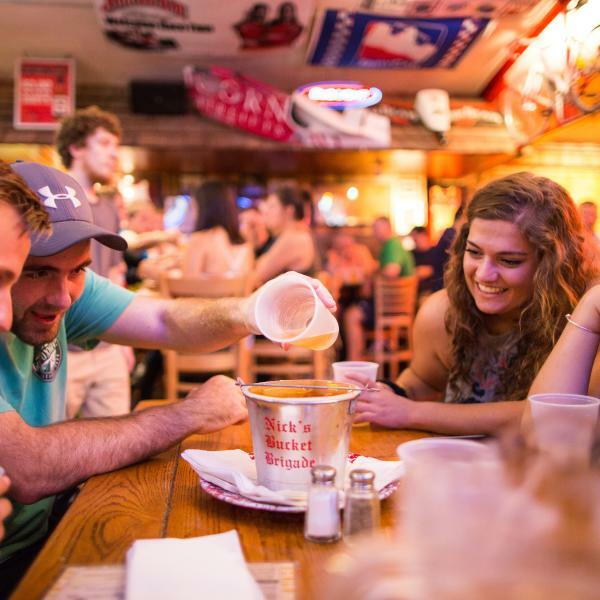 Upstairs Pub - The choice bar for locals is filled with IU relics and good deals. Fun Fact: The bartop in the front of the pub is made from the old Simon Skjodt Assembly Hall court from before the renovation. 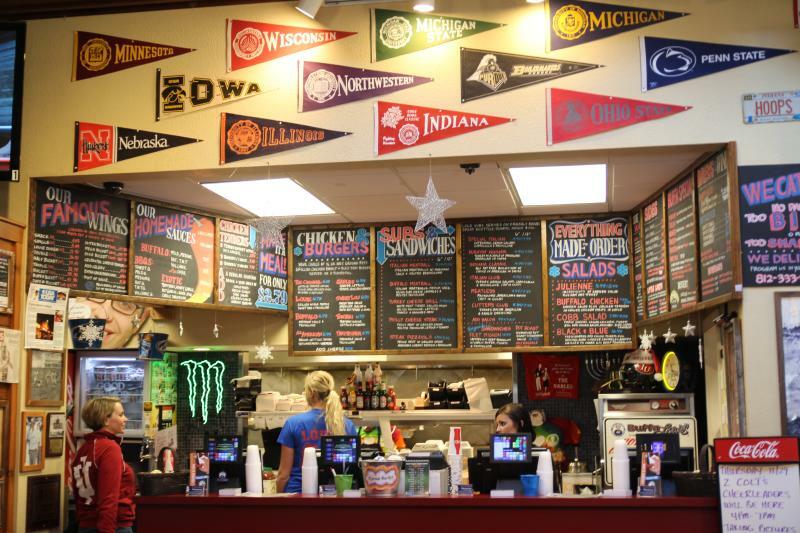 Kilroy’s on Kirkwood - This student favorite has become a Bloomington classic just steps from the Sample Gates. Pro Tip: Kilroys has daily deals, but you will never go wrong with the breadsticks. Pro Tip: Arrive early if you plan on watching the game at The Tap for seating is first come, first served. IMU Bowling and Billards - If you&apos;re in town, but don&apos;t have tickets to the game, watch the Hoosiers while playing a game of bowling or pool and enjoying food from the Memorial Union food court. Pro Tip: If you are at the watching a weekend game, head over to the movie theater in the Union afterward to check recently released films for a low price. Buffalouie’s - Voted one of the USA&apos;s best places for wings. As you walk in, you are instantly greeted by Indiana and Big Ten memorabilia. Nick’s English Hut - Bloomington staple for over 90 years and with delicious strombolis and seasoned fries and everything covered in the IU trident, it has become a favorite for students and alumni. Janko’s Little Zagreb - The classic Midwest steakhouse has an extensive wine list and has IU memorabilia throughout. The Hoosier pride is everywhere, including the hotels. 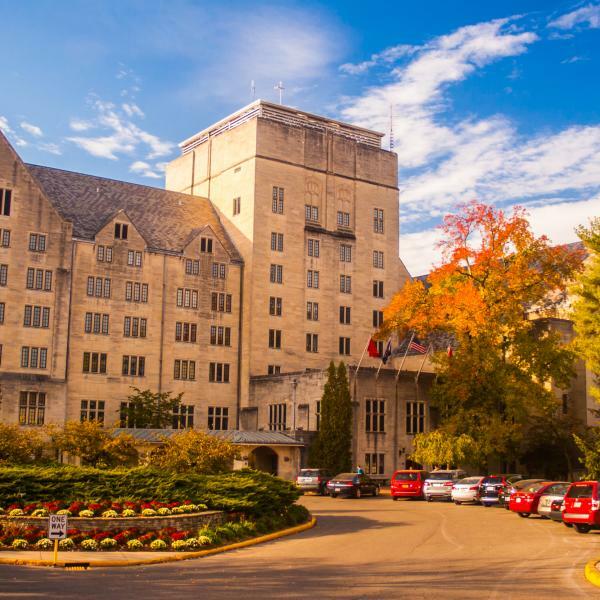 While you&apos;re here for a game, stay in one of these new and classic hotels that scream IU. For more accommodation options, check out our full collection of hotels here. 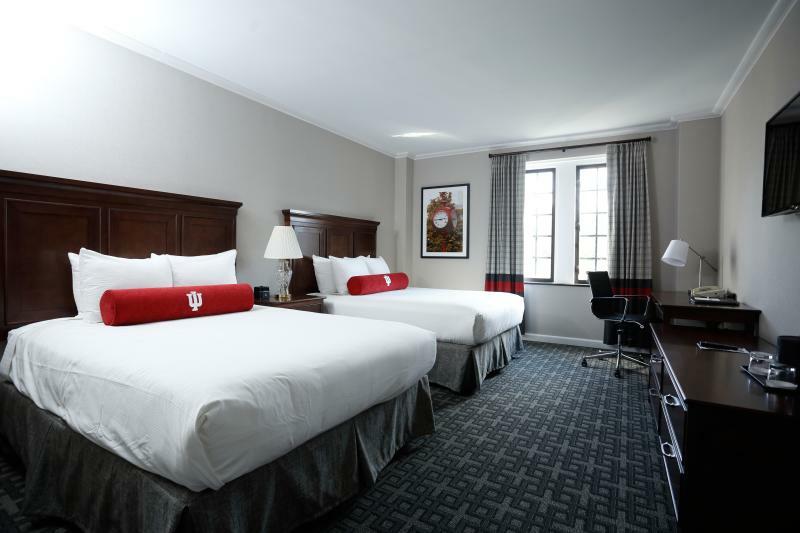 Find the perfect hotel near campus. 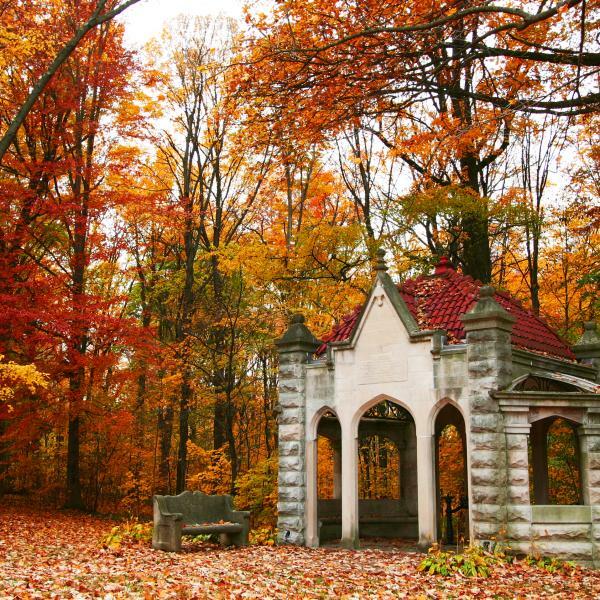 The beauty of Indiana University is breathtaking, often cited as one of the most beautiful in the country. 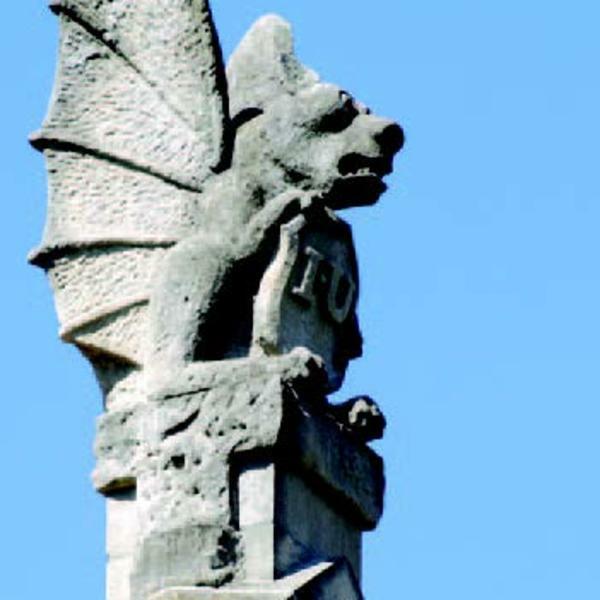 So here are 10 gorgeous spots on campus that run the gamut from well-known favorites to hidden gems. 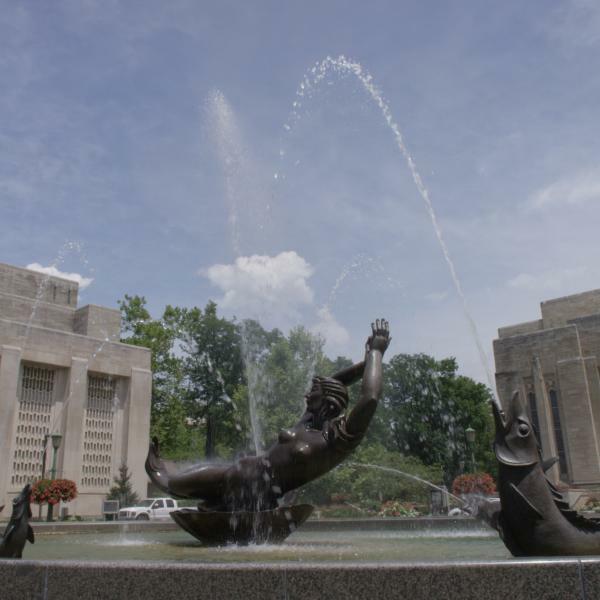 Take a tour of Bloomington through the lens of IU alum and Indianapolis photographer Zach Dobson.